With the May Bank holiday bonanza about to begin here in the UK, many of us will be relishing the thought of an extended three-day break from the regular routine, whatever regular might be these days? 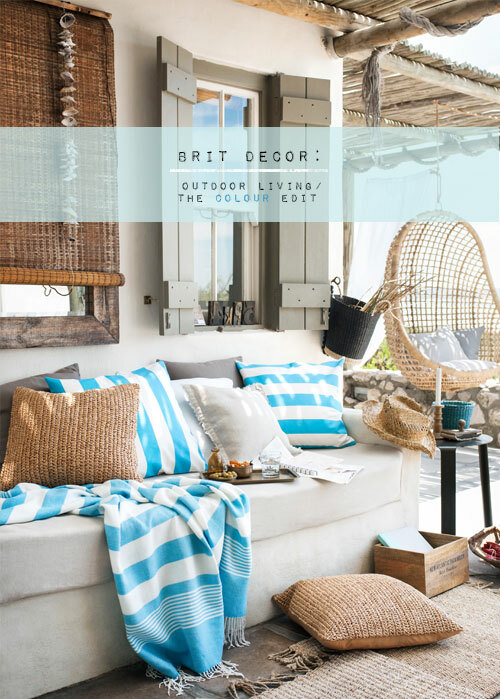 At around the same time, DIY stores and garden centres will become completely awash with consumers, all keen to buy up a slice of the home-making dream pie, fuelled by the on-set of warmer weather *Mike types with fingers crossed* or at least the prospect of sunnier climes. For me the Bank Holiday also evokes a sense of party, a celebration of the fact that I can sit back and enjoy some of the finer things on this extended weekend, and share good times with good friends. 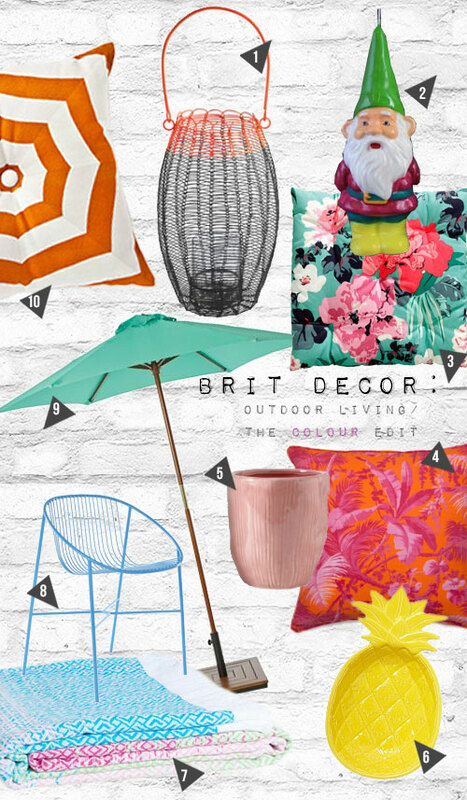 It's this sense of fun combined with the vibrancy of Spring/Summer, which has inspired today's outdoor living feature and it's all about having fun with colour. 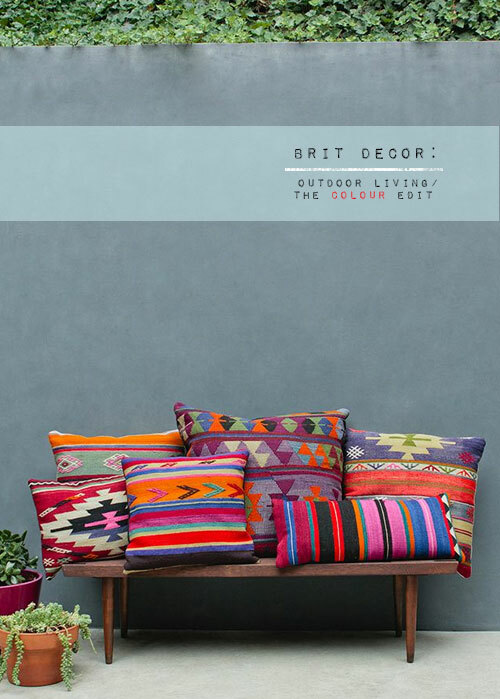 Recently here on Brit Decor, I focussed on dreamy neutral outdoor living with the soothing 'Simple Style' feature - so today's spotlight throws a multi-coloured ray of light onto a more playful, colour-driven style, perfect for outdoor entertaining. 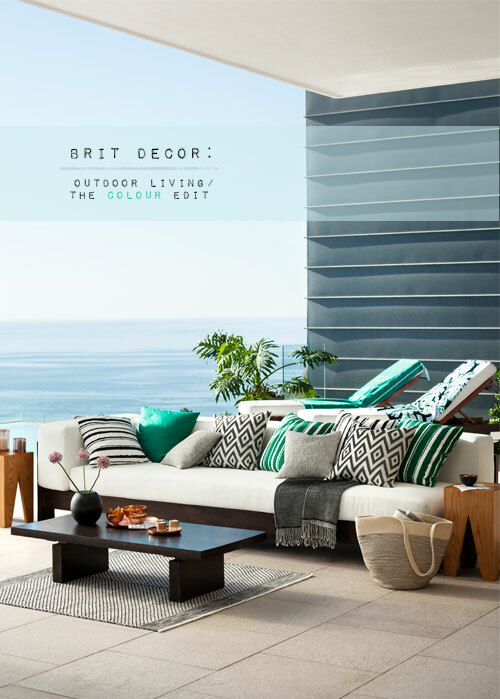 My top tips for this 'look' is to either choose one bold colour and pull this through the scheme with the use of varying patterns and textures, or opt for an explosive array of colours (contrasting is good) and run with it! Wishing you a colourful and vibrant weekend, wherever you are in the world!